I had this honey mustard salad at my sister in law place and it was awesome. You can make this salad for lunch or with dinner. Honey and mustard sauce dressing gives it a unique taste. In a bowl, whisk together the vinegar, honey, mustard, garlic, salt, and pepper. Continue to whisk while streaming in the olive oil. This dressing stays great in the fridge in a sealed container for a week or so. 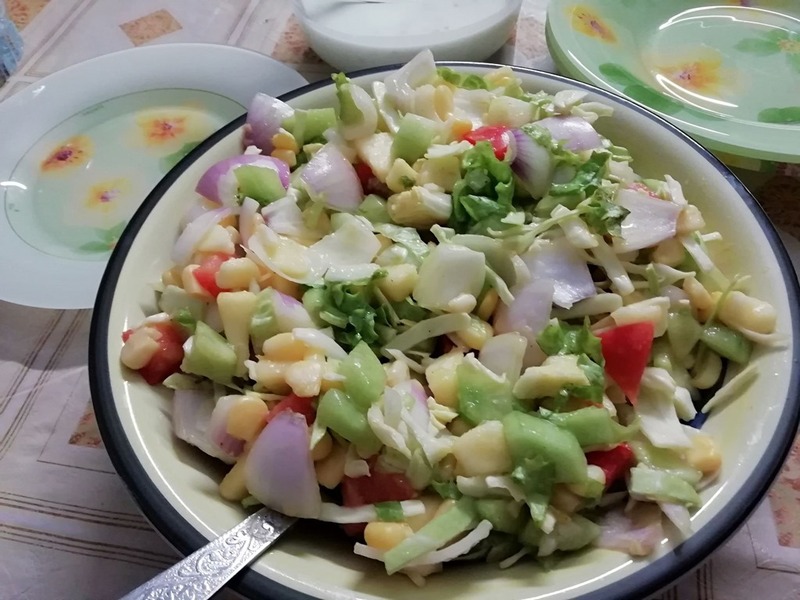 To assemble the salad, add diced cabbage, the cherry tomatoes, the sliced almonds roasted, sliced onion, cucumber, carrot, sweet corn, and the salad leaves to a large bowl. 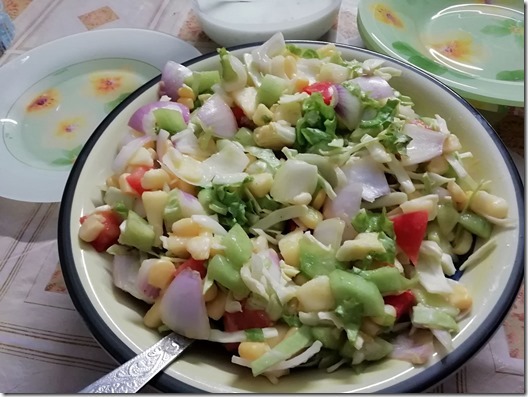 Now drizzle in some of the dressing; toss the coat, then divide equally among plates, and Chicken chunks, drizzled with a little extra dressing if desired. -Serve immediately, or keep in a covered container in the fridge. I enjoy being able to print your recipes.